Today I’m throwing it back and featuring a wreath that I posted last year on my old blog Jaihart. I adore this baby shower wreath….which really isn’t a wreath. It’s a decorative umbrella (that we purchased from Hobby Lobby)…turned upside down with a bunch of flowers and pinwheels (from hobby lobby) inside…. The great thing about this Baby shower wreath is that it can also pass for a Spring Wreath. 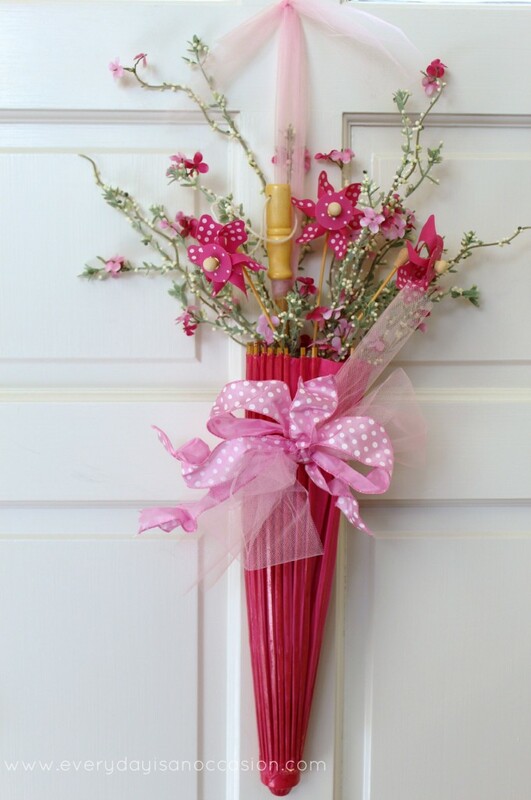 So, have a baby shower and then keep the wreath on the door…ha! Jk… just hang it up for spring! 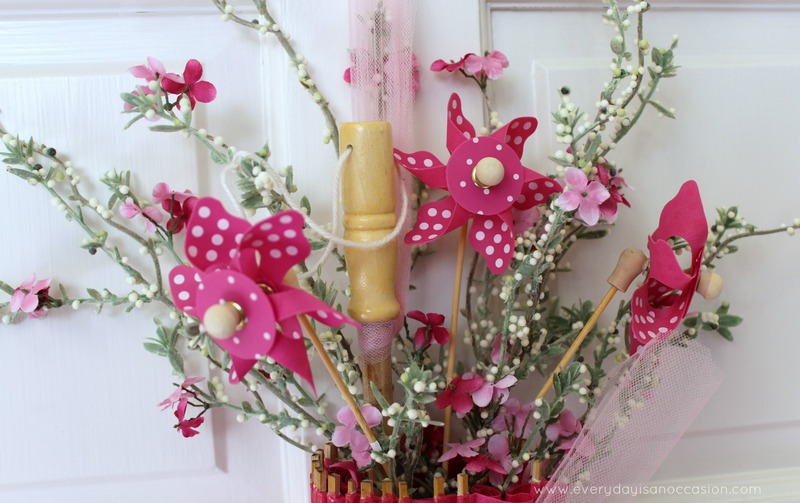 If you would like to learn how to make this Spring door decor…check out this video…. Have you started to decorate your home for spring? I have not, but this door decoration is giving me some inspiration! I hope you have a super fun day! This entry was posted in Holidays, Uncategorized and tagged baby shower, baby shower wreath, every day is an occasion, Everyday is an occasion, spring decoration, spring wreath. Love throwbacks! This throwback is just perfect! Happy Day! What a super cute wreath! Love the vibrant color. It would be great from Valentines throughout the Spring! Very cute wreath,Love the colors…. WOW! This is one amazing project. 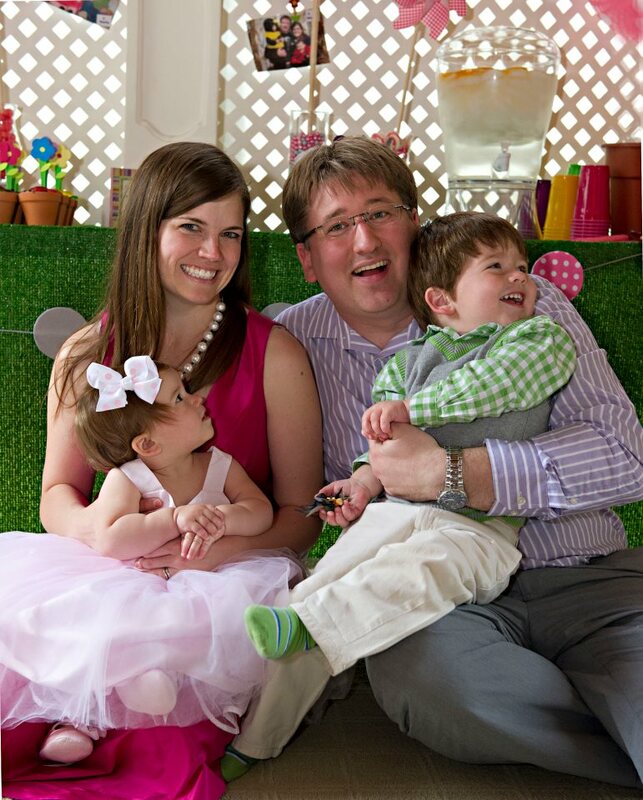 What a great idea for a baby shower! Thank you so much Shelly! That makes my day!